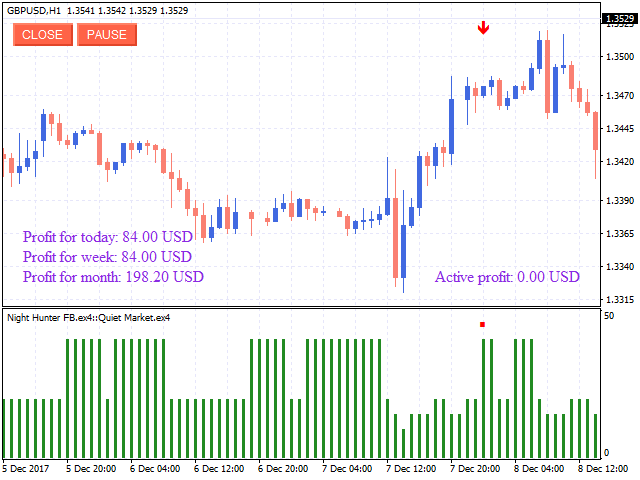 Night scalper based on the Quiet Market indicator. It does not use martingale, sets a tight stop loss for each order. Trade is performed in a calm market based on strong overbought and oversold levels. The EA has a lot of settings, which allows you to manage the strategy at your discretion. Recommended timeframe - H1, leverage - 1:100, initial - 20 USD and more. It is advisable to disable the EA during high-impact news releases. To stop trading, simply press the PAUSE button. The robot uses a virtual take profit, which allows taking profit starting from 1 point. Test the demo version carefully before buying. If you have any questions, ask them in the comments, we will be sure to answer. Auto lot - automatic lot. 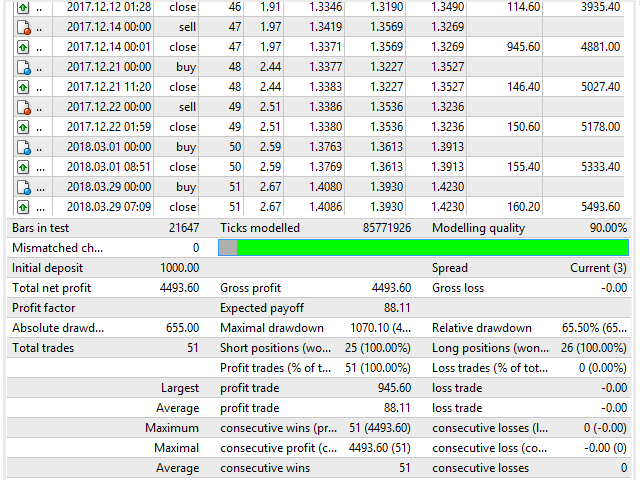 It is calculated by the formula Balance/Auto Lot*0.01, where 0.01 is the minimum possible lot on the trading account. Order Lot - fixed lot, if Auto Lot = 0. Timeframe - timeframe to monitor the market. Filter Signals - filter signals at a quiet market (shows no more than 1 arrow at each lull). Sensitivity from 1 to 3 - sensitivity of the indicator. 1 - take into account all overbought and oversold levels, 2 - only medium and strong levels, 3 - only strong levels. Start Hour (Signals) - hour to start detection of signals. End Hour (Signals) - stop hour. Show arrows - display/hide arrows on the chart. Signal Allert - notify when a signal appears. Trailing Stop (0 - not active) - trailing stop. 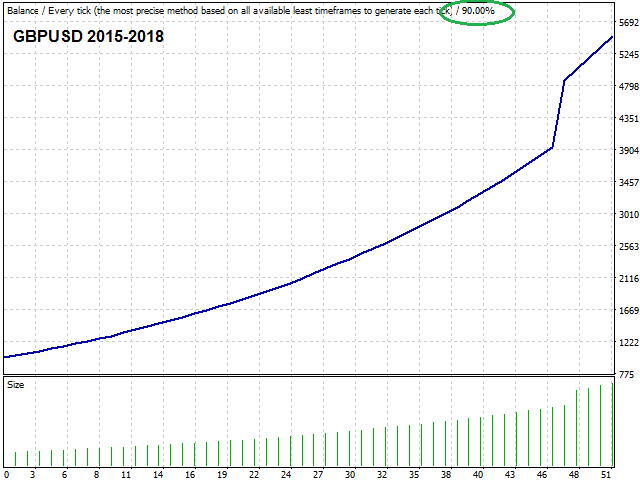 Breakeven Start (0 - not active) - breakeven start level. Breakeven - breakeven level in points. Control Panel - display the control panel. This panel allows you to control the closing of deals directly from the currency pair chart. It also allows pausing the trade. When the 'pause' button is pressed, new orders are not opened, all open orders are managed by the EA until closed. Info Panel - information panel (show/hide). Color Info - color of the basic information.